Fall is in the air and the crisp leaves and golden grape vines of wine country are beckoning to autumn brides! 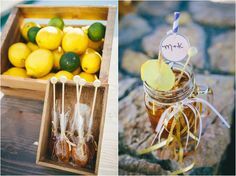 Here are some of the top trends for 2014 Fall season in Paso Robles and on the Central Coast of California that can help you with your upcoming wedding! The rich colors, romantic details and timeless look will be sure to make your special day just that more fabulous! Emeralds, golds, dark plums, teals, burnt orange, dusk and copper. 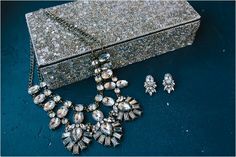 Metallics are big right now and the sheen is overshadowing the “shine and sparkle” of yesterday’s crystal. With the rustic colors of fall the colors that compliment the warm tones in nature are showing up in flowers, bridesmaid dresses, cakes and decorations. The botanical flowers that grace the grand gardens and museums, illustrative cards and beautiful tattoos are now in the hands of brides coming down the isle. The rich colors in the flowers combined with embellishments such as pheasant feathers, beads and old coins make the whole look of fall! The regular necklace is passe’ this fall and the new look is having jewelry that covers shoulders, down the back, on the head, along the arm or on the feet at beach ceremonies! The groom is no longer wearing the same old penguin suit of last season but now is sporting velvet jackets, suspenders, bow ties, boots, tweed trousers, printed button up shirts and beards!